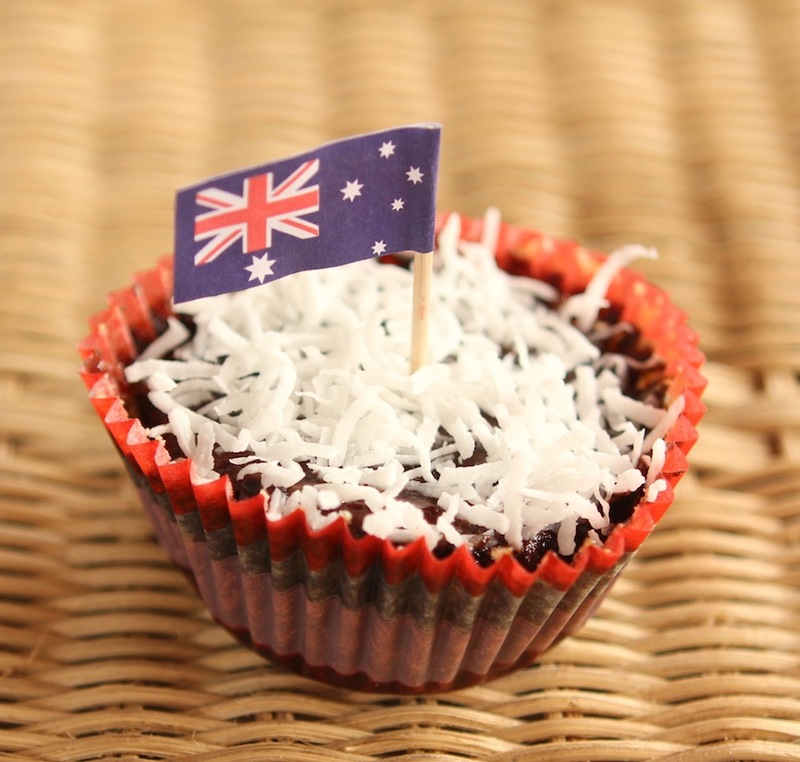 Tomorrow is Australia Day! 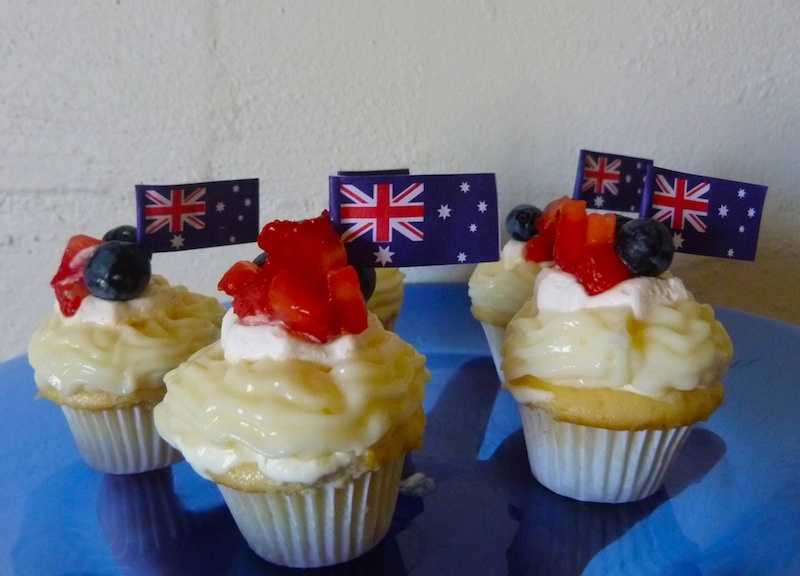 Last year I made mini pavlova cupcakes using vanilla cupcakes, mini meringues and cream (oh and the blueberries and chopped strawberries!). It’s such a simple thing and they were very yummy! 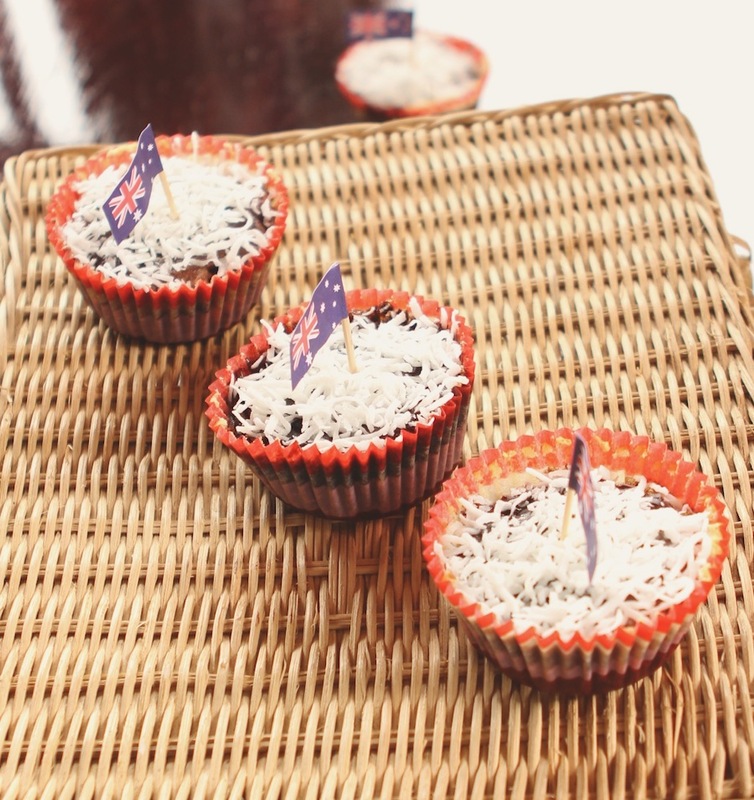 This year I thought I’d take on the other traditional Aussie recipe: Lamingtons! Preheat oven to 150°C and prepare a cupcake tray with your favourite liners. Using a mixer, beat butter, sugar and vanilla until fluffy and then add eggs, 1 at a time, beating through out. Sift half the flour over the mixture, combine and add half the milk. Repeat again with remaining flour and milk. Fill 3/4 of the cupcake liners and bake for about 25mins or until you insert a toothpick in the middle and it comes out clean. Let them cool completely. Once they are cold you can use a cupcake filler to fill them with jam. I don’t have a filler so I just cut out a deep circle in the middle, put the jam and press the “lid” back on…works fine for me! For the icing: sift icing sugar and cocoa together into a mixing bowl. Add butter and boiling water and stir. 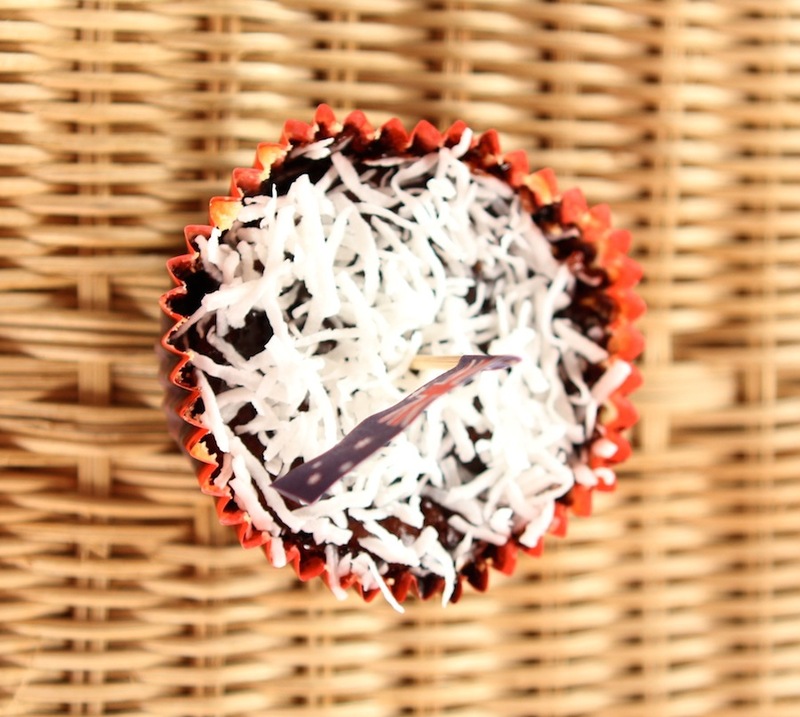 Pour on top of the cupcakes and then toss coconut to cover all the top. Let them cool again before serving. I actually peeled the cupcake liner of the cupcakes and let the chocolate fall all the way to the bottom of the liner (hehehe more chocolate icing everyone!) then I pressed the liner paper back on and put them back on the cupcake tray so they would hold the shape. I left them on the fridge for a couple of hours and all done!